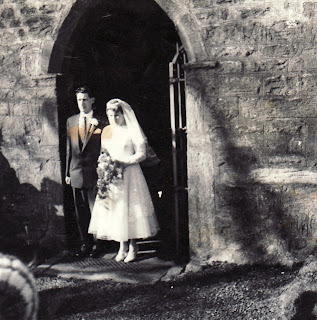 My mam's twin sister Mary Watson married Arnold Bradley on March 28th 1959 at Hamsterley Church. On Saturday they celebrated their Golden Wedding. They have 2 daughters Angela and Kathryn and live in Cockfield.